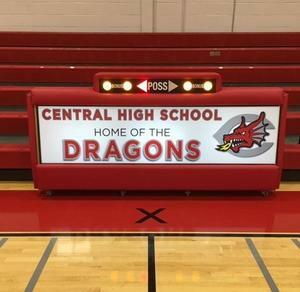 Thanks to the generousity of the Dragon Pride Foundation, Central High School now has a new scorer's table for the renovated gymnasium. The Foundation donated $3,578.75 to purchase the table which is used for all sporting events held in the high school. The District greatly appreciates the Foundation's ongoing support! Please enjoy the Spring 2019 Edition of Braggin' About The Dragons. Good Luck at States, CHS Mock Trial Team! 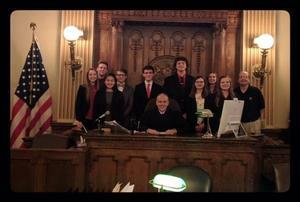 Our CHS Mock Trial Team has advanced to the State Competition in Harrisburg after capturing a win at Regionals recently. We wish them the best as they compete for the State Champion title! All volunteers must submit all required volunteer forms, clearances, and/or Tuberculin Test to the Administration Office for review and submission to the School Board for final approval at their monthly meeting. The last date to submit all required volunteer forms, clearances and/or Tuberculin Test is April 1, 2019. No volunteer documents will be accepted or submitted to the School Board for approval after April 1, 2019. Homewood at Martinsburg will display CHS student artwork from March 1-28, 2019. The exhibit is open to the public daily from 9 am to 4 pm in the Southview Building.